I am back on the poster train this year. 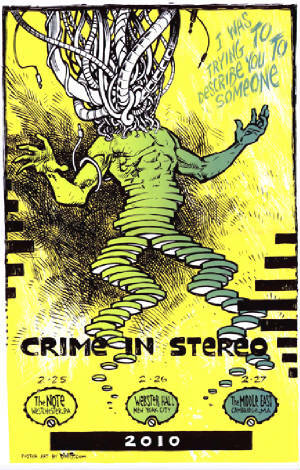 Crime in Stereo's CD release show(s) poster is now on sale HERE in my store. 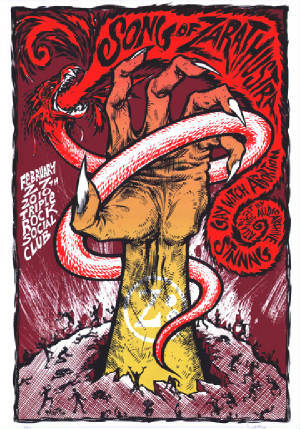 And last night at the Triple Rock was the Song of Zarathustra show, where the posters were a hit and they sold out. 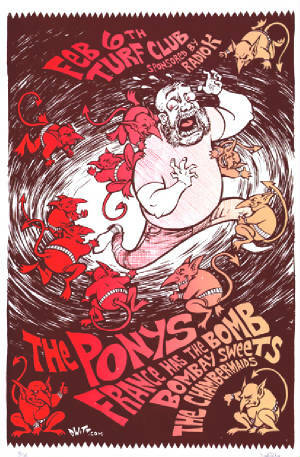 So unless you're a subscriber or you know someone who bought you one at the show, sorry to say that you won't get one. 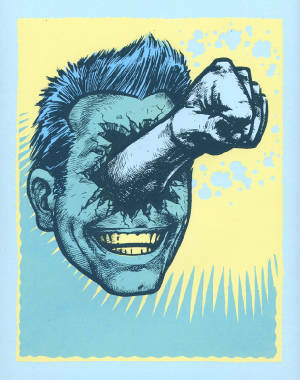 I've got posters in the works for High On Fire, Megadeth, Chuck Palahniuk (new book coming in May! 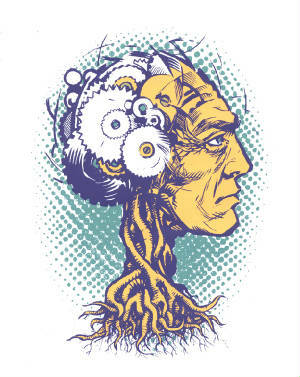 ), Chris Koza, Crime in Stereo (when they play the Triple Rock in April), as well as a print for this year's Artcrank bicycle themed print show. Spring is coming, and I'll be in high gear when it arrives! I have safely returned from the Rockaholics show in Zurich, Switzerland (organized by Guenther Dobrauz). Jeral Tidwell, Justin Kamerer (Angryblue), and myself mixed it up with the locals and brought our work to a brand new, and very welcoming, crowd. On top of that, our work was produced in a way none of us had ever seen, or imagined, before. Working along with Heinrich-Mantel AG, a Zurich based printing company, 10 each of our images was reproduced on a sheet of aluminum. 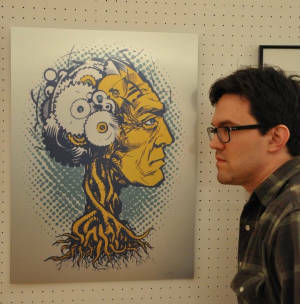 Unlike screenprinting, where ink is laid on top of paper, the image was annodized into the aluminum itself. Scratch proof and weather proof, these 10 prints will outlive all of us! For details about purchasing, shoot me an e-mail. 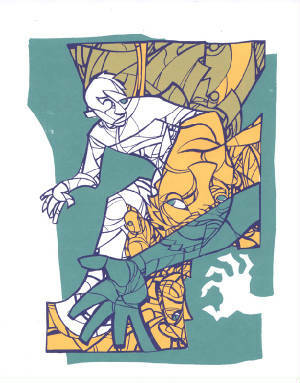 I also have two new art prints on sale today: Gearhead and The Chase, respectively. Click their names to purchase a copy for yourself! 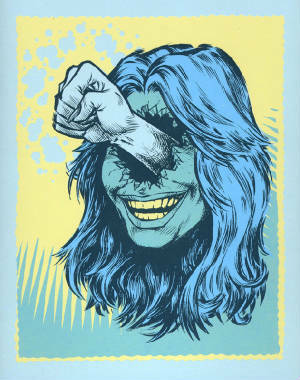 Today, a new version of my Inspiration Strikes print goes on sale, along with a brand new female counterpart. Each sold seperately, you can purchase them HERE! This Saturday I will be one of the artists with work for sale at the Gimme Shelter Benefit happening at First Ave. At LEAST 50% of all proceeds will go to the Red Cross in their Haiti recovery effort.